Ketchikan, Alaska is a premier fishing location. 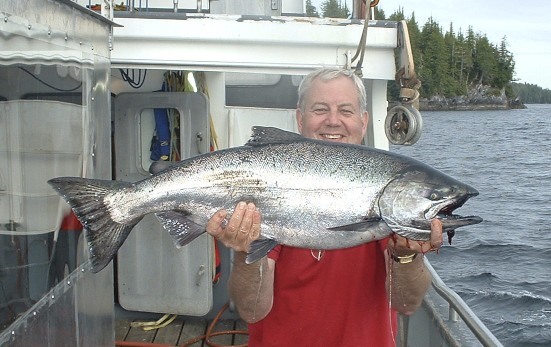 Alaska is known for it's abundance of salmon, and now is the time to book the trip of a life time. Join us this summer for our 5 day salmon fishing cruise. While traveling through Alaska's protected waters you'll fish, enjoy amazing encounters with wildlife, spectacular scenery, and enjoy the company of friends and family. Come fishing with Captain Harold Haynes who was raised as a fisherman, and who has been fishing in these waters for over 35 years. We customize each trip for our guest to ensure that you receive the vacation you always dreamed of. Our yacht provides an all inclusive pricing; fishing tackle, bait, sleeping accommodations, meals, and all activities.